The UGC NET exam is a national level competitive exam for post graduate candidates who wish to enrol themselves for PhD programme and teaching jobs in different colleges and universities. The UGC NET exam is conducted twice a year and successful candidates in the exam are eligible to apply for PhD Degree (Junior Research Fellowship) and lecturer jobs in colleges and universities. The CSIR UGC NET exam is jointly conducted by Council of Scientific and Industrial Research (CSIR) and University Grants Commission (UGC). CSIR UGC NET exam is conducted only for Science and Engineering discipline, while for Arts and Humanities; the exam is conducted by UGC alone and is referred to as UGC-NET. The UGC CSIR exam is going to be held in June 2013. Since this exam is going to be conducted at an all India level, be prepared to face tough competition. It becomes necessary to know the kind and variety of questions that are usually asked in the exam. You can cover the topics that are expected to appear in the UGC CSIR exam by studying from mathematical sciences reference books. These books will acquaint you with the topics so that you can validate what you have studied. There are many education publications that bring out collection of UGC CSIR mathematical sciences reference books. We’ve chosen the best of mathematical sciences reference books from the whole lot. 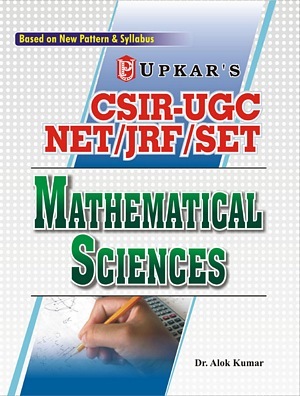 UGC-CSIR JRF/NET Mathematical Sciences (Also Useful For SET) by G. K. Publications Pvt. Ltd contains all the topics of mathematical science exhaustively covered. This book also includes objective type questions along with memory based previous year papers of UGC CSIR mathematical sciences paper. UGC-CSIR NET (JRF & LS) Mathematical Science by Pawan Sharma, Anshuman, Suraj Singh (Arihant) includes the topics as per the syllabus of UGC CSIR explained in an easy way. Also, the book contains solved previous year papers of 2010 and 2011, and mock test papers for you to have a thorough idea of the type of questions that you will see in the exam. Mathematical Sciences for UGC-CSIR Junior Research Fellowship & Eligibility for Lectureship by Prasad (Cosmos Bookhive Pvt. Ltd) extensively covers the syllabus of UGC CSIR Mathematical Sciences for your easy understanding. Net Mathematical Sciences – Vol. 1 UGC CSIR by Satya Prakashan would help the aspirants to succeed in this particular discipline of mathematical sciences in the exams such as National Eligibility Test (NET), State Level Eligibility Test (SLET), Junior Research Fellowship (JRF), and Union Public Service Commission (UPSC). This book has been divided into different sections and topics. Special attention has been paid to prepare an exhaustive question bank of questions that might appear in the examination. NET Mathematical Sciences – Vol. 2 UGC CSIR by Satya Prakashan is useful for exams like National Eligibility Test (NET), Junior Research Fellowship (JRF), and Council of Scientific and Industrial Research (CSIR) as it includes topic wise elucidation of mathematical science discipline, along with questions that are beneficial for students. It contains sample questions for students to practise and test their preparedness. 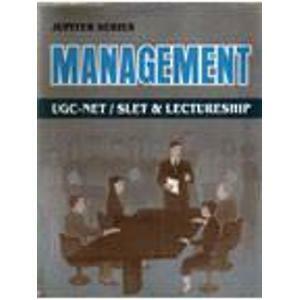 Mathematical Science Manual CSIR UGC/NET/SLET & Lectureship – Jupiter Series by Renu Sharma, Awadhesh Kumar Mishra (HG Publications) is a beneficial book for UGC NET and JRF mathematical sciences discipline. This book contains in-depth explanation of mathematics topics for enhanced understanding, so that what you have studied can be easily applied in the questions. 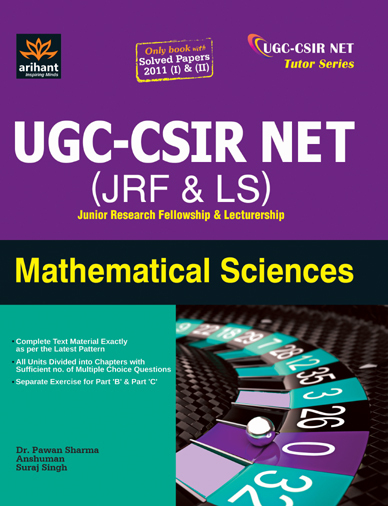 CSIR-UGC NET/JRF/SET MATHEMATICAL SCIENCES by Alok Kumar (Upkar) gives an insight of the subject in detail. Each chapter in this book is supplemented with practice test papers. This is certainly an enriching book for mathematical sciences, which thoroughly explains you the topics. This entry was posted in Test Prep, Uncategorized and tagged The UGC NET exam is a national level competitive exam for post graduate candidates who wish to enrol themselves for PhD programme and teaching jobs in different colleges and universities. The UGC NET . Bookmark the permalink. Post a comment or leave a trackback: Trackback URL.